Raging bull is a metaphor that you commonly associate with a fierce competitor. However, you can easily make others to say that you are one such raging bull by ordering these custom bull banks at wholesale prices. Investing in custom bull banks is a perfect thing to do if you want to ask kids to grow up their savings or if you wish to show your pride for Chicago Bulls or promote your stock market business! Avail benefits of free art setup and free online design proof on all orders. We offer fast shipping anywhere within the contiguous USA. Avail benefits of our fast production time. When it comes to making smart investments, people always harbor second thoughts. You cannot do much about erasing their insecurities, isn't it? However, you can easily do something about instilling financial consciousness in young kids by handing them these crazy custom bull banks. Offered in an assortment of colors, these bull banks are sure to capture attention and fancy of onlookers from over table or cupboards or wherever they are kept. Being produced using high-quality plastic material, these bull banks serve longer. Most designs of these customized bull banks possess a money slot at the top and twist plug at the bottom. These bull banks are perfect to educate people about your investment strategy and inspiring kids to take savings seriously. Logo printed bull banks are ideal for investment firms, financial organizations, parents, schools, play schools and others trying to simplify their task of inspiring kids and reaching out to their parents. You can easily imprint your logo, slogan or fundraising message over these raging bull banks and sit back to see how your efforts bring success. 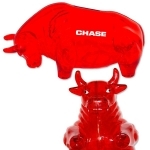 If you have been trying to take the bull by horns, start distributing these personalized bull banks during the next available opportunity! These logo bull banks make a perfect giveaway for school fairs, trade fairs, barbecue parties, picnics, conventions, fancy dress parties, themed parties or any formal/informal business events. There are various creative shapes of promotional shape and selection coin banks in our selection. If you are not sure how these custom bull banks or other custom coin banks will work for your business, feel free to give us a call at 855-454-3786. Our product specialists come with years of industrial experience and they can help to make understand why these customized banks or other promotional giveaways for kids are special. 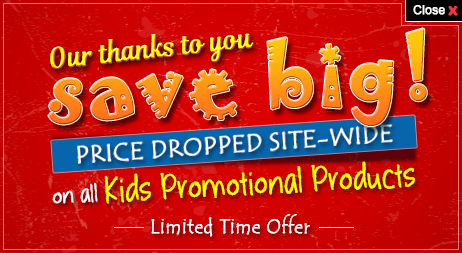 Alternatively, you can reach out to us at info@promo4kids.com. 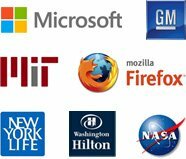 Our graphic experts will ensure that your brand logo has turned out the way it was expected. They can help you to create branding material from scratch without charging you anything. We don't have hidden charges. It means you pay what you see on the screen.